Michael Jordan was a phenomenon the moment he set foot on an NBA court - it took all of three games for him to crack the 35-point mark, and he ran away with Rookie of the Year honors. Then, three games into his second season, catastrophe - broken foot. Jordan would miss most of the '85-96 season before coming back (against the front office's recommendations) for a short stint before facing the top-seeded Celtics in the playoffs. 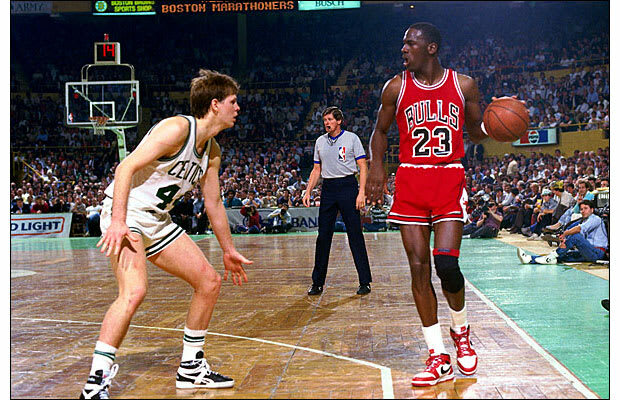 Jordan dropped 49 in the first game, then trumped it with a mind-blowing 63 in Game Two - in Boston Garden, no less. Larry Bird called him "God disguised as Michael Jordan," and man, did God have nice shoes.